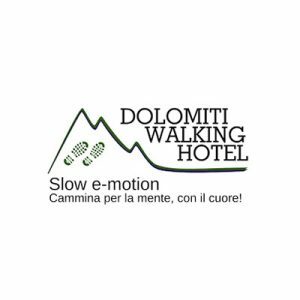 Comfortable rooms specifically furnished for the needs of every guest: wide or little solutions, where every comfort become hospitality, and where the alpine scents characterise every space in a fine and delicate embrace and guide our guests in a timeless journey of the remembrance. Let our fairytale landscape seduce you: your wellness starts here. 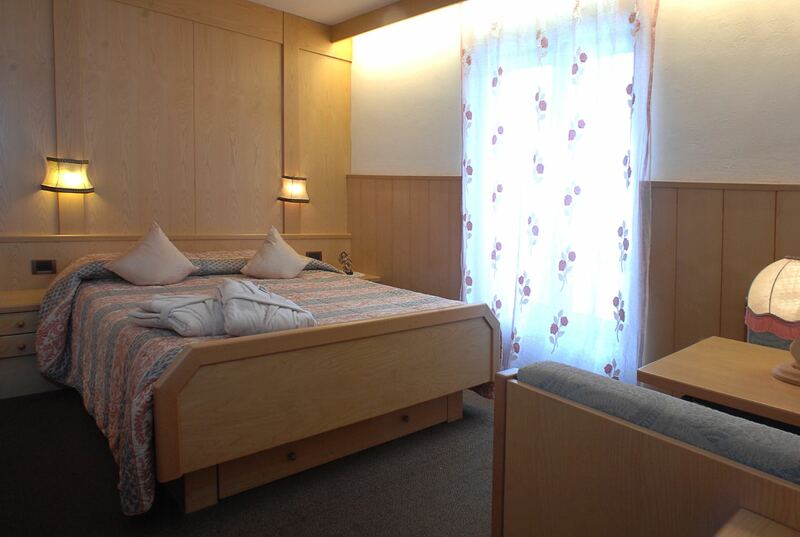 Comfortable double or three beds rooms, our standard rooms are the ideal solution for couple and families with kids and babies in the cradle. 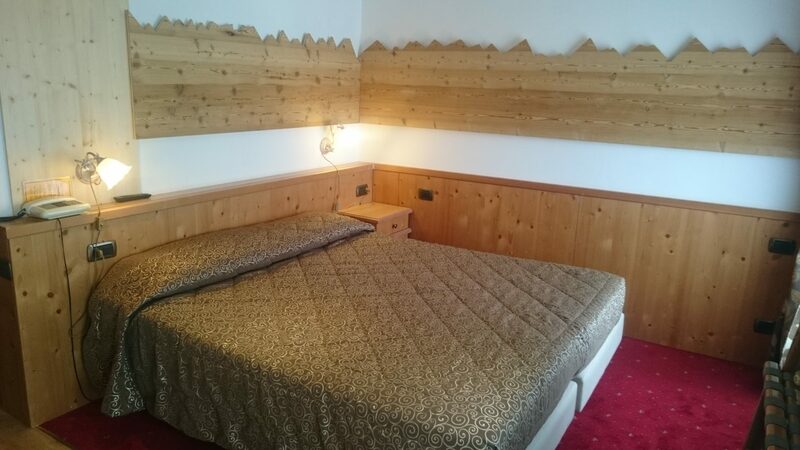 Fir-wooden furnished, these rooms offer solutions such as a dobule room with single beds or double-bed, or three-beds attic rooms, where the facing south balcony permits to enjoy an uncomparable panormam of the Pale di San Martino. 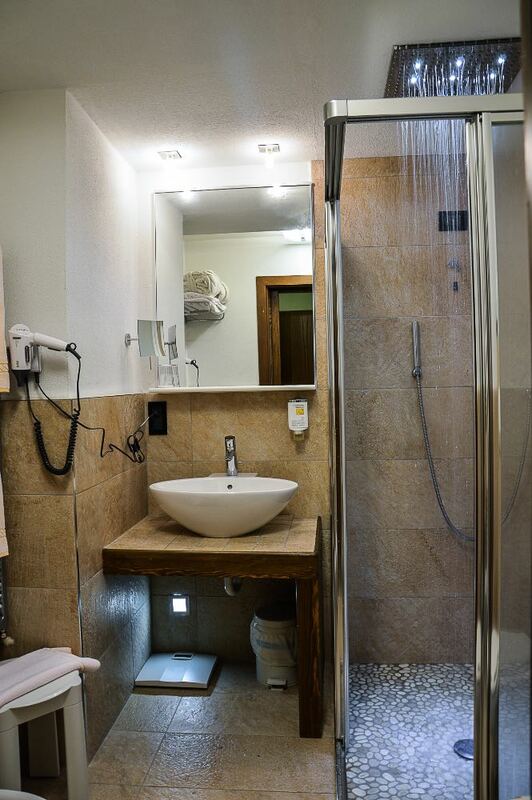 Every room provides classic services such as bathroom with wellness package, tv, wi-fi and trekking kit. We provide for a second tidying up of the room every evening, during the dinner. 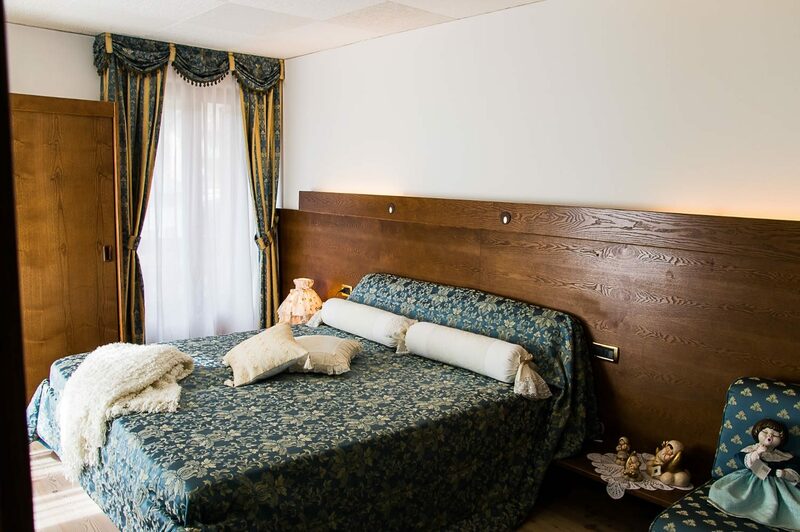 Typical alpine hospitality: rooms with wooden furniture and details such as the traditional angular-bench, the sofa and the armchair according to the mountain style, where the wooden shades, from the fir to the alpine ash, warm the atmosphere. 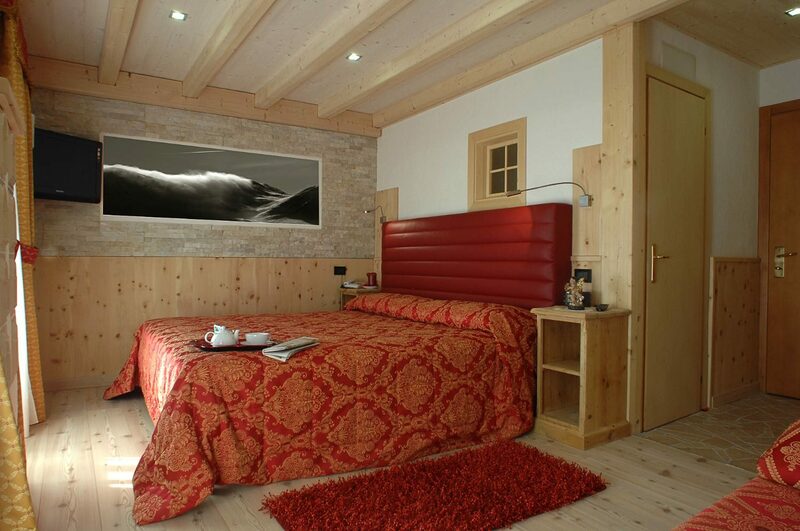 Wide spaces where the landscape becomes a piece of art: every room has a balcony or a window with view on the Pale di San Martino ora the Lagorai mountain range. This solution provides the classic services such as bathroom, tv, wi-fi, trekking kit and wellness package. We provide for a second tidying up of the room every evening, during the dinner. 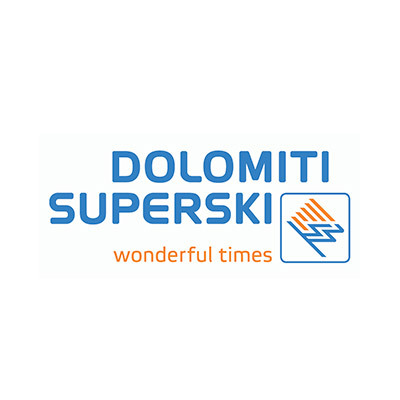 Spaces where relax becomes an authentic sensory experience: the panorama of the Dolomites seduces the sight, the embracing Alpine star scent creates the perfect atmosphere and the extra comfort such as the multi-sensory shower and the relax area with a selection of infusion will cuddle every guest. 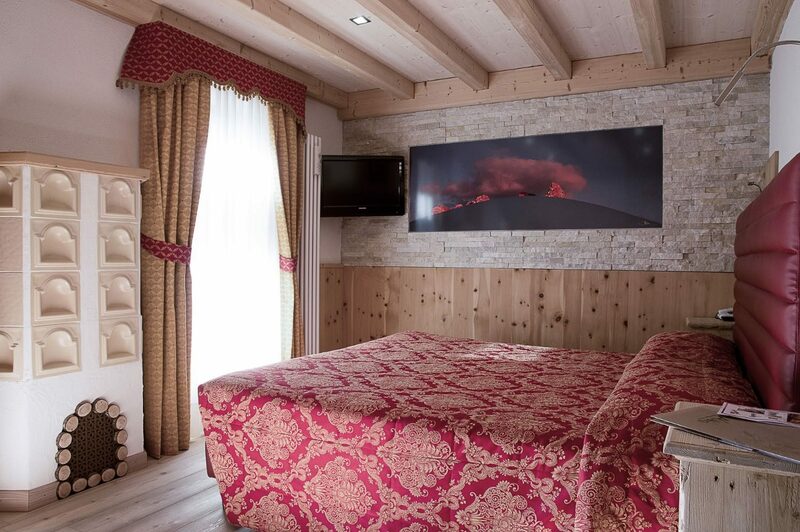 Exclusive and refined rooms characterised by the natural element of the antiqued larch wood, wide and welcoming spaces furnished with a sofa, an armchair and a beautiful balcony to relax just in front of the stunning Pale di San Martino. 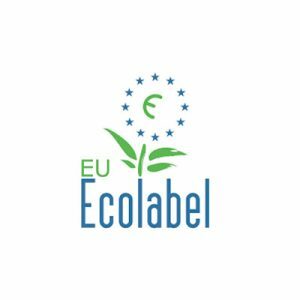 In addition to the standard included services, little attentions such as the evening tidying up of the room and the free parking space in our garage will make yours a pleasant stay. 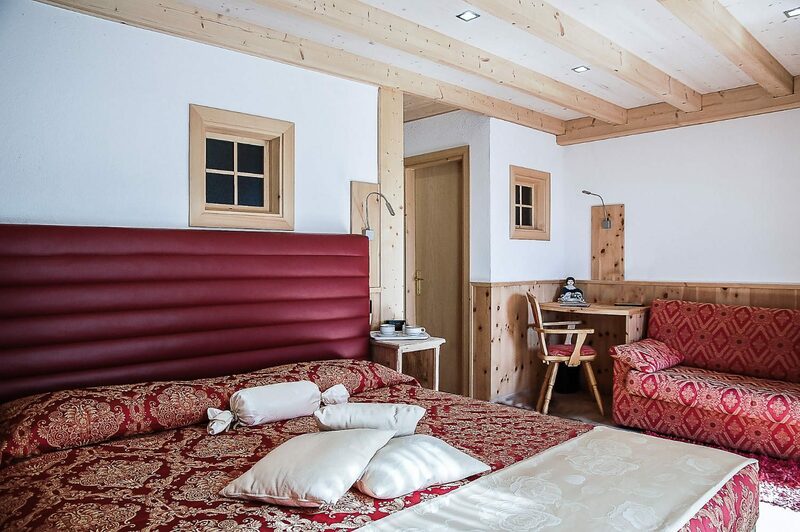 The perfect solution for a mountain holiday without giving up to privacy and quiet: the combination of two independent rooms connected to each other, a double and a single room or two double rooms, with a separate access and a shared bathroom, permits to live freely a family holiday. 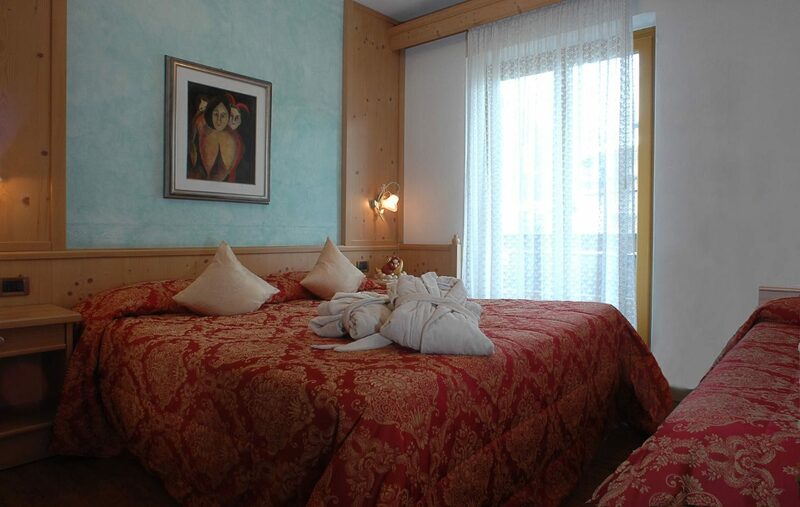 Every room, with balcony or window, is characterised by wide spaces furnished according the alpine style, and is provided with all the comforts for the wellness and the relax of every guest, from the classic services such as tv and wi-fi to the wellness package, and the trekking kit. Every evening member of our staff will provide for a second tidying up of the room during the dinner. 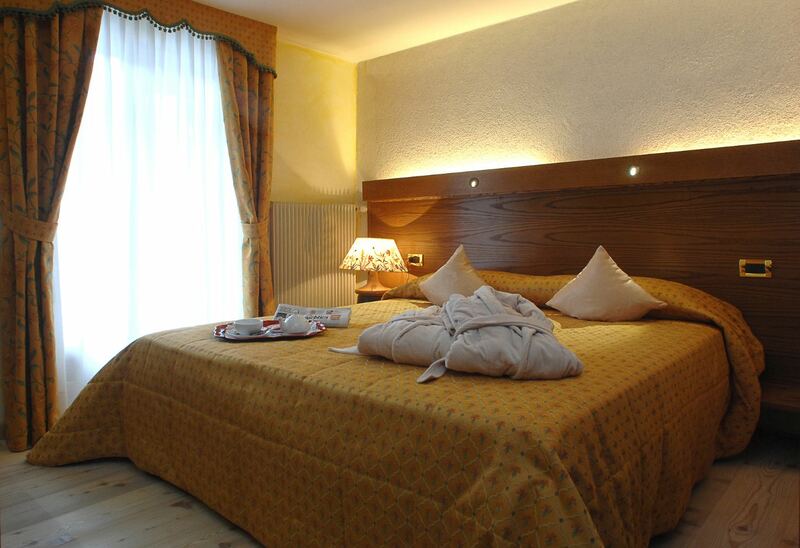 A holiday among nature and rejuvenating silence: cozy and refined room, with a double bed for the best comfort. The balcony with view will allow you to enjoy unique landscapes or to relax reading a book, while all the included service, from the wellness package to the trekking kit will make your holiday an alpine wellness experience. 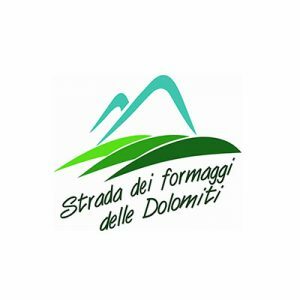 A holiday experience where nothing is left to chance: in every room you will find all the necessary to live the best excursions and hikes on the Dolomites, a trekking kit with a backpack, sticks and nordic walking rods, in addition to the botanical maps, the road maps and the indications for the winter hikes. 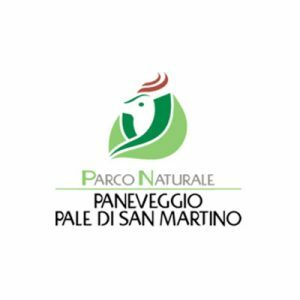 Salus per naturam: wellness according to nature. 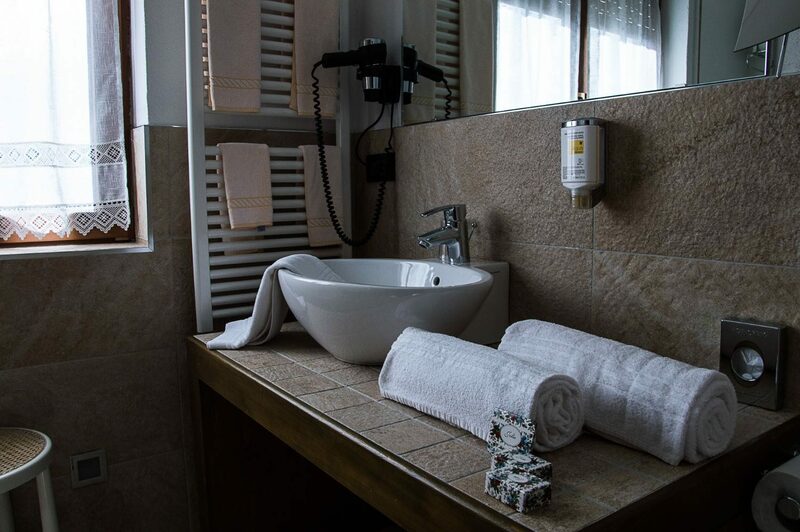 The cure of our body at Natur Hotel Alpino originates from a selection of natural products, chosen with a particular care and attention to their formulations: useful dispensers of shampoo and soap are at disposal of our guests for the entire stay. DID YOU ENJOY THE FLAVOURS OF TRENTINO? bring them home with you! 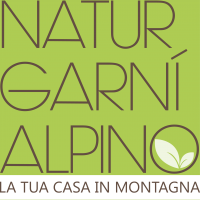 directly at Natur Garnì Alpino, visit our little store. 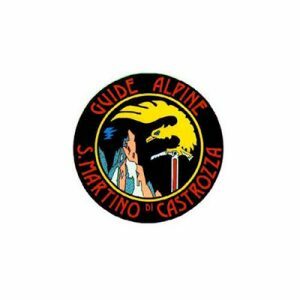 Don't miss the occasion to live firsthand one of our amazing alpine experiences !